We hope that you are enjoying your Christmas holidays, we definitely are! When the weather outside is a bit gloomy and not too tempting to go outside (as it is now the case in Brussels), it might be a nice thought to spend your day huddled up at home, watching movies over a cup of hot cocoa. Here is our top ten that we might be tuning in this Christmas season. Grab some snacks, dim the lights, and enjoy the show! 1. “Gone with the wind” – We feel that the story of Scarlett O’Hara, the strong-willed daughter of a Georgia plantation owner, never gets old. Based on the renowned novel of Margaret Mitchell, it depicts the struggle of O’Hara family and their close relatives and friends to find their way out of poverty, following General Sherman’s March to the Sea. Although rightly criticised for the incorrect portrayal of slavery and Afro American community, it is still a monumental historical romance worth watching. 2. “The way we were” – Two words: Barbra. Streisand. While it’s not a traditional romance, it covers the topics of love, loss, differences, and cherished memories. The story of Katie Morosky (Barbra Streisand) and Hubbell Gardiner (Robert Redford) id definitely worth your time. Their differences are immense: she is a stridently vocal Marxist Jew with strong anti-war opinions, and he is a carefree WASP with no particular political bent. Old time classic. 3. “Breakfast at Tiffany’s” – Everybody knows the iconic image of the ever-graceful Hepburn standing in front of the Tiffany’s store on 5th Avenue, quietly indulging in a croissant, dressed in a floor length gown with black gloves, glam jewelry, big sunglasses, and a tiara. Holly Golightly is the epitome of New York chic, roaming around in her cute apartment, wearing gorgeous outfits and throwing lavish parties— and yes, she may have a habit of latching on the nearest rich fella she sees, but Holly is a free spirit. In a manner quite different from the culture at the time, she is an independent woman who doesn’t want to bind herself to a man to have a purpose in life. 4. “Elizabeth” – We all know how it ends – Elizabeth I is one of the greatest monarch England had by far. But how did it start? What made a young women, with questioned legitimacy for a throne, with no powerful army or allies, threatened by the biggest empire at that time – Spain – and by the biggest aristocratic family internally – the Norfolks (who supported the quest for throne by catholic Mary Stuart) into an unquestionable leader, who made England into an empire? 5. “Little Miss Sunshine” – Really charming story, perfect for the Christmas season. The Hoover family – a man, his wife, an uncle struggling with depression, a brother and a grandfather pile themselves into a VW bus and head to California to support a daughter in her bid to win the Little Miss Sunshine Contest. The sanity of everyone involved is stretched to the limit as the group’s quirks cause epic problems as they travel along their interstate route. 6. “Juno” – If you are searching for a quiet indie movie, look no further, this one is an absolute pearl. Juno is a high school student who discovers that she’s pregnant with her high school sweetheart. The girl decides to find a pleasant married couple who wish to adopt her unborn child. Being so young, she must find answers to difficult questions: what should she do, what will be better for her child, and how can she find herself? Finally, she takes an unusual decision. 7. “Brave” – Who said we are too old for fairy tales? This is one is definitely right in our avenue. A skilled archer named Merida choses her own path in life, defying the powerful Scottish clans and their leaders. She goes to a recluse for advice, who not only refuses to help but imposes on a dangerous spell on Merida. This young princess has to rely on her own bravery to brake the powerful curse. 8. “Mona Lisa Smile” – Katherine Watson is an art history at an all-female and very traditional college. Passionate and enthusiastic, she fights for gender equality and has a big impact on her students. Teaching the girls to question their traditional social roles, especially when it comes to marriage, Katherine herself is inspired to take a fresh look at her own life. 9. “The Help” – Adaptation of the acclaimed Kathryn Stockett’s novel recounts the story of young white woman and aspiring journalist Eugenia “Skeeter” Phelan and her relationship with two black maids, Aibileen Clark and Minny Jackson, during the Civil Rights Movement in 1963 Jackson, Mississippi. She decides to write a book detailing the African American maids’ point of view on the white families for which they work, and the hardships they go through on a daily basis. 10. “Bridesmaids” – You hear chick flick movie and want to run away? We too! But this one has a rather different take on the old theme of the competition between the maid of honor and a bridesmaid, over who is the bride’s best friend. It might help that the movie was casted, directed and produced by all women crew and the jokes are actually funny. We said 10, but you absolutely cannot miss “Battle of the Sexes” – the true story of the 1973 tennis match between World number one Billie Jean King and ex-champ and serial hustler Bobby Riggs. 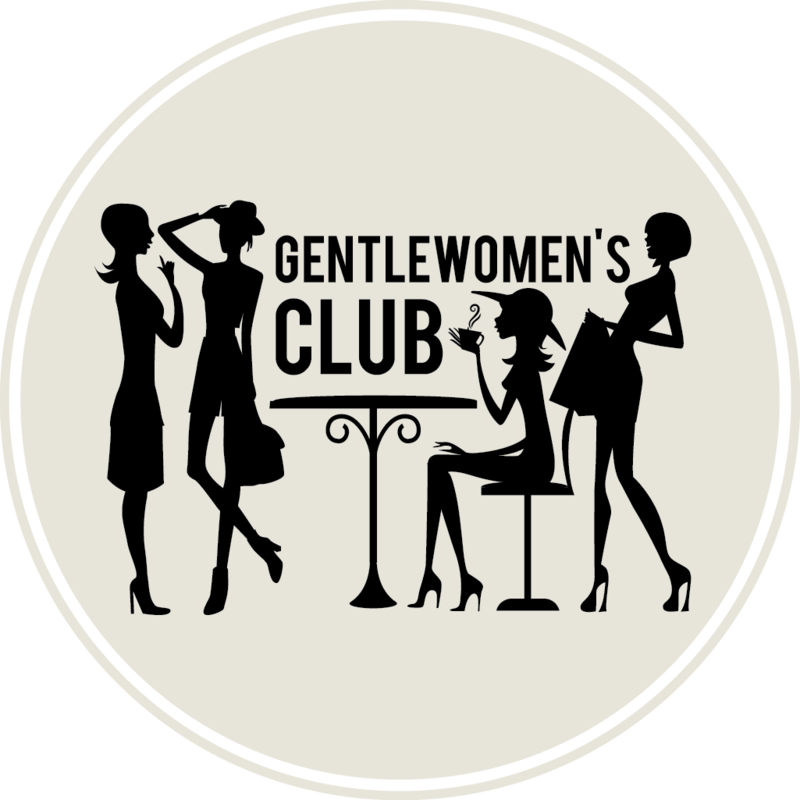 If you want to see it with Gentlewomen’s Club, stay tuned for our next event! More to come!